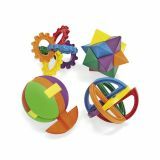 Plastic Mini Rainbow Magic Spring Assortment. 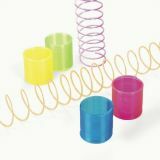 (50 pcs./pack, PB) 1 1/4" - 1 1/2" Assortment may vary. Assorted. 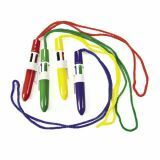 Each 4-color 5" shuttle pen is on a 31" nylon cord. Plastic Mini Transparent Magic Springs. 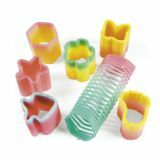 Enjoy classic fun with a clear twist! Assorted colors, 1 1/3". Assorted colors. Each 2" barrel contains ten 1" monkeys. 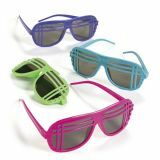 Plastic Neon '80s Style Sunglasses. Assorted colors. 6" with 5 1/4" ear pieces. Each assorted color pen has 10 different ink colors. 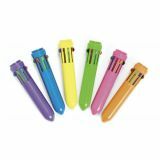 (1 dz./PBH) 3 3/4"
Plastic Pom-Pom Shooter Pens. Assorted colors. 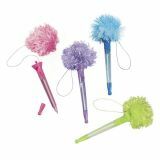 Each plastic pen has a 2" pom-pom on a spring. 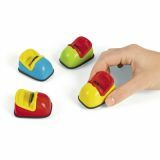 (1 dz./DB) 7"
These tiny toys are great fun for kids. 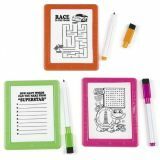 Perfect for gifts and giveaways. Just pull 'em back and watch 'em roll! Plastic. 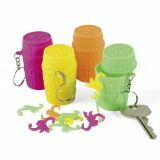 3" Assorted Styles. 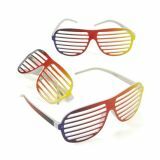 Plastic Rainbow Shutter Shading Glasses. Each piece bar coded. 6" with 5 1/4" ear pieces.